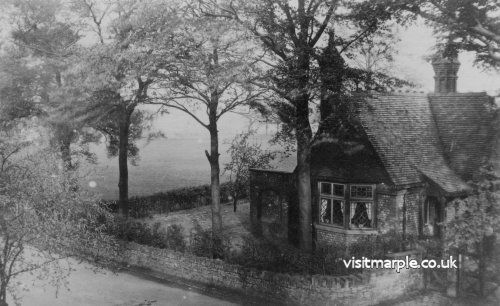 Orginally the cottage in Marple Memorial Park was a lodge at one of the entrances to the estate owned by the Carver family. There was also a similar one at the entrance from Stockport Road but this was demolished in the 1950s. In more recent years past the remaining lodge was home to retired park worker Jim Heald and he lived there until his death in 2004. 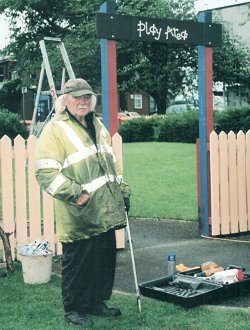 Jim gave over 45 years of service to the park he loved through a variety of jobs and even after he retired in 1994 he still helped in the park, clearing up litter and keeping it tidy voluntarily. One of the Friends group's very first projects was to campaign and raise funds for a bench to commemorate Jim's contribution to the park and this is located near the play areas within sight of his former home. After Jim passed away the cottage remained empty and in decline for several years. Due to deeds and covenants placing restrictions on the use of the land and buildings in the park the council had difficulties in finding a suitable permitted use for the cottage. Thankfully they were also unable to sell it for profit or demolish it. The Friends of the Park felt it was important that the cottage was not simply left boarded up and allowed deteriorate until it was no longer viable and maintained a dialogue with the council since it became empty to try to ensure that this did not happen. It was way beyond the resources of the Friends group to to do something useful with the building, which needs extensive renovation, so we were delighted when The Brass Bands of Marple came up with a proposal to turn the cottage into a practice room and their first permanent headquarters. This was a particularly fitting community use for the building due to the bands' links going back to the Carver family and the Hollins Mill. To cut a long story short, with the culmination of decades of hard work and a huge task of fund-raising, the new band room opened in March 2014 and is now in constant use by both The Marple and Hawk Green Bands.